What Is The SHIFT Gymnastics Educational Series? Over the last 4 years, I have been on a non stop pursuit of trying to help gymnasts perform at a higher level, reduce their risk of injuries, and have longer more successful careers. I have done this by spending hours reading the most current gymnastics research, connecting patterns in the gymnasts I have treated as a Physical Therapist, reflecting on my own career as a gymnast, trying new concepts while coaching, and talking with some of the most respected gymnastics coaches in the country. After trial and error with practical application, I decided to put all of my current thoughts into the first volume of my new SHIFT Gymnastics Educational Series. It ended up taking just over 2 years to create this 230 pages e-book with 300+ reference photos. My intention was to help educate gymnastics coaches, medical providers, parents, strength coaches, and gymnasts working in the community to help be on more common ground for tackling some big issues. After many long hours of creation, I am very excited to announce that it is finally here! What Gymnastics Topics are Inside? Along with this, check out what people are saying about Volume 1 after reading! 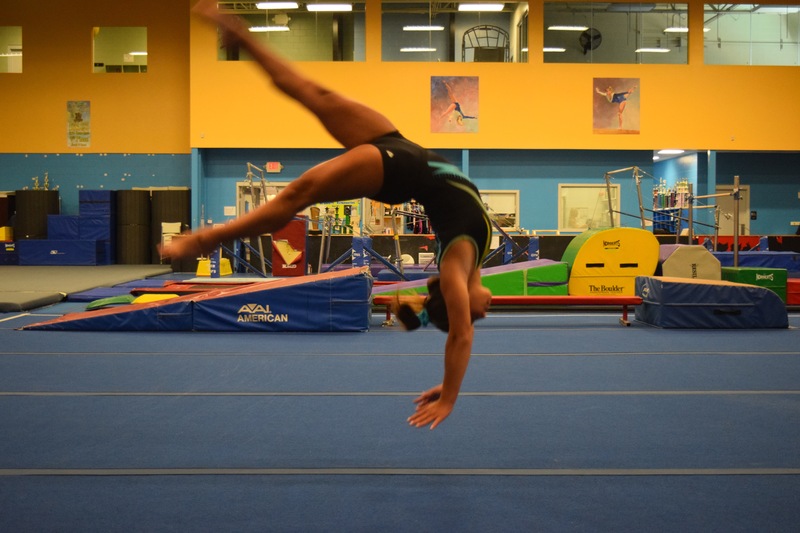 “At a young age I was forced to stop the sport of gymnastics due to an overuse injury. Now, as a coach I am very passionate about using preventative techniques to ensure the health of my athletes. We are fortunate in our industry to have Dr. Dave Tilley, whose mission is to seek out new techniques and research the most efficient and effective protocols to keep our athletes healthy and active. Implementing Dr. Tilley’s techniques into regular training, I have see a decrease in the injury rate of athletes over the last 15 years of coaching. As coaches, I believe we do our hard-working athletes a great disservice if we aren’t actively seeking ways to improve the training process and limit injury potential. A major hurdle in this endeavor is the shear number of areas of athlete development a coach would have to master in order to be fully effective in their goal. This is why the concept of building a sports performance team for your gymnasts is so vital and why Dr. Tilley’s book is such a phenomenal resource. His understanding of the specific demands of competitive gymnastics as well as his drive to improve mobility development methods and reduce injury risks make him an invaluable asset to the gymnastics community. My number one goal with the SHIFT Gymnastics Educational Series was to create scientifically supported educational resource that everyone in gymnastics can easily put into their training practices. I am fortunate that I have been a competitive collegiate gymnast, compulsory and optional coach, and also a medical provider within the gymnastics community. Through my years in the gym I was taught work ethic, discipline, dedication, team comradare, and other values that help shape me into the person I am today. As a coach, I thoroughly enjoy helping pass these things onto the next generation of athletes so that they can realize their potential in gymnastics and their individual lives. Now being in my dual coaching / Physical Therapy role, I sadly see hundreds of gymnasts that struggle with injuries, miss out on their full abilities, and unfortunately sometimes quit due to injury or lacking progress. Having spent many years in the sport with different points of view, I feel I am in a unique position to offer gymnastics ways to evolve the sport into the next generation. I have made many mistakes as a coach. By seeking out ongoing education and mentorship through my coaching and Physical Therapy career, I feel I have drastically changed my approach to gymnastics in the last 5 years. This book is my first attempt to share the biggest changes in performance, training, injury prevention, strength and conditioning, and more. Don’t miss out on all of these new cutting edge concepts, be sure to pick up Volume 1 of the SHIFT Gymnastics Educational Series today! Sounds Great! How Can I Get My Hands On The Full Book? Simply click here or the link below to be taken to our SHIFT Store. A quick 3-minute form will allow you to access the digital download via email confirmation. I hope you find this product valuable enough to purchase, and then once you read through it’s content I hope you find it as an incredible resource to your gymnastics work!